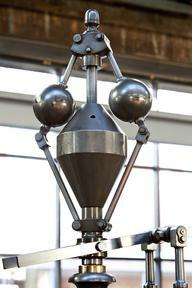 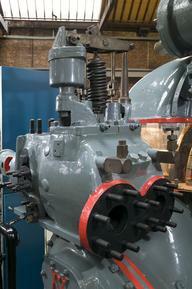 Horizontal cross-compound condensing uniflow engine, made by Galloways Ltd, Manchester, for Elm Street Mill, Burnley, 1926. 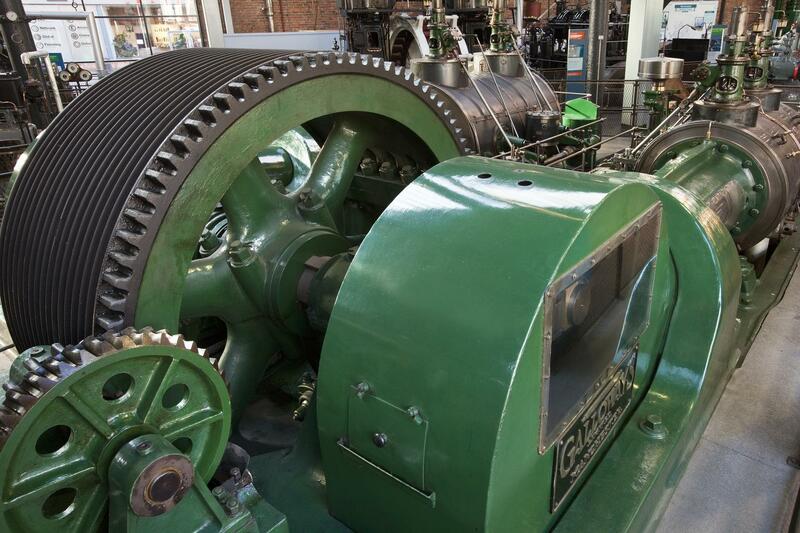 Elm Street Mill was a ‘Room and Power’ mill, which means that different companies could hire a space with heating and lighting in the mill and link their machines up to the engine for their power supply. 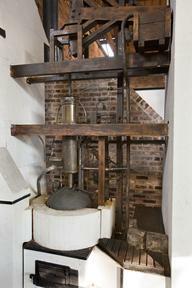 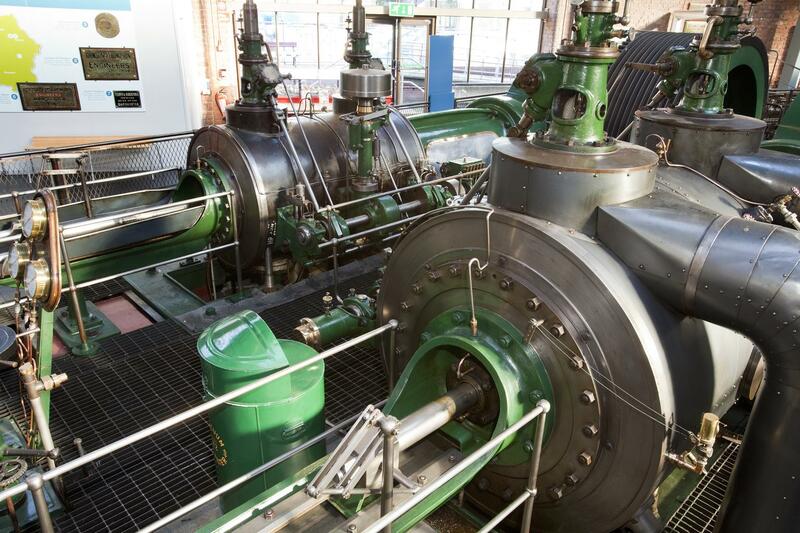 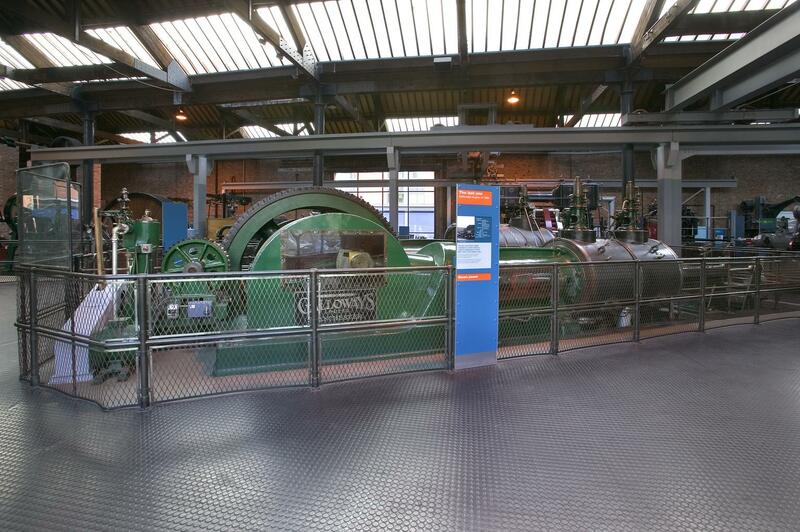 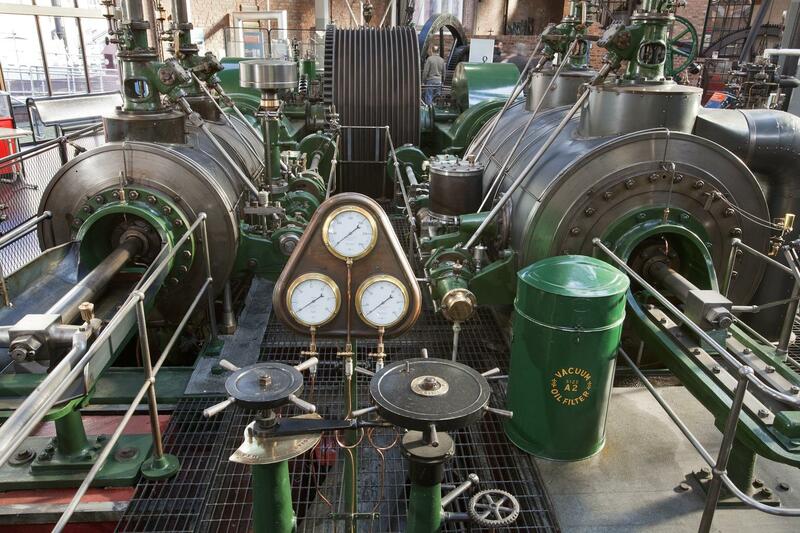 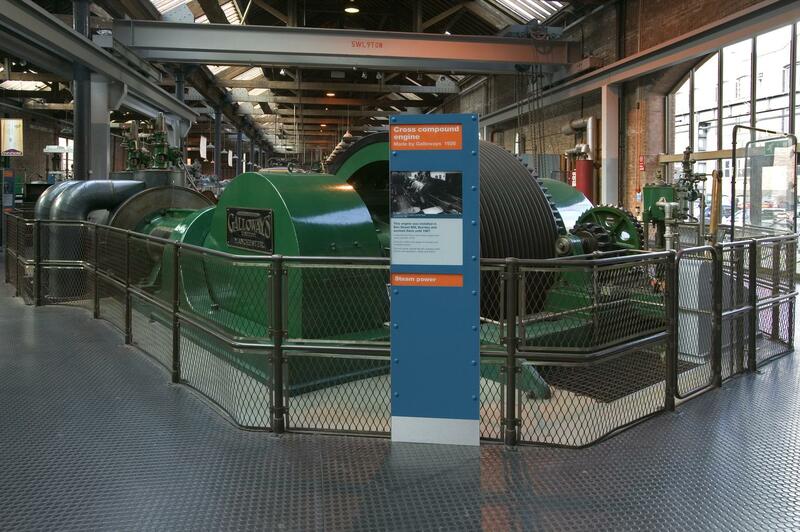 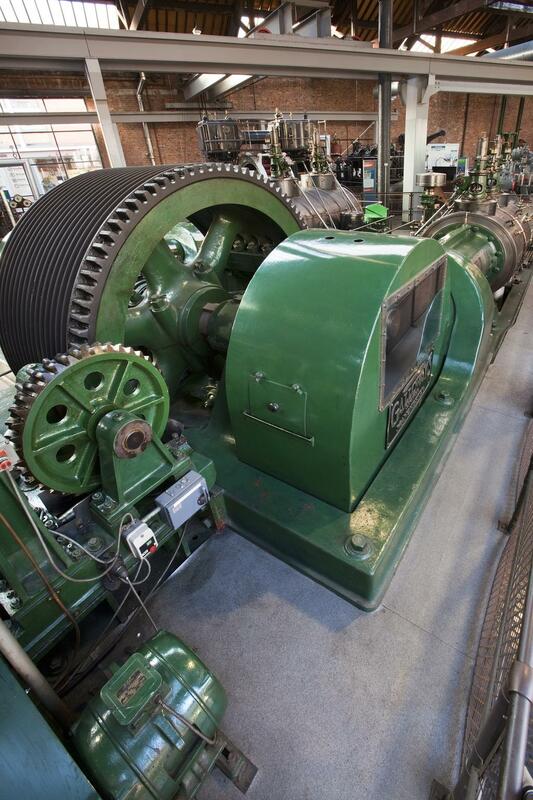 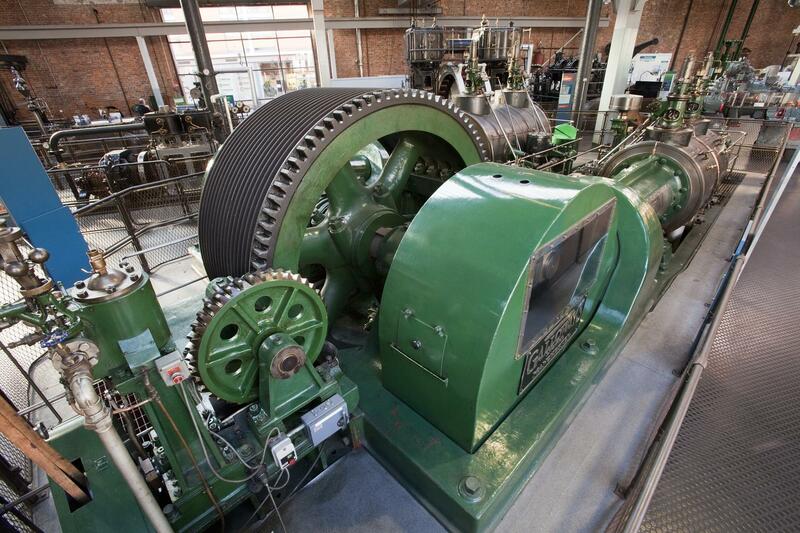 The engine also drove the alternator to generate electricity to light the mill.